I wasn't sure if this was actually going to happen, but on Saturday it was confirmed. 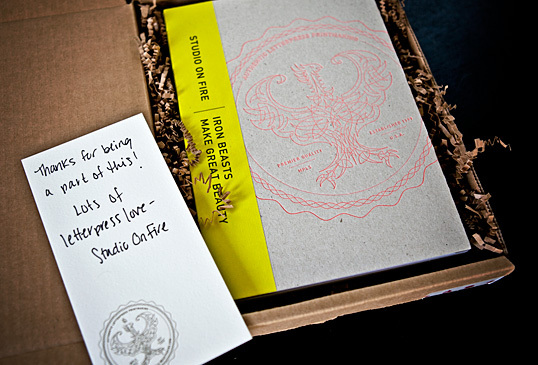 I received a small package on my doorstep and from the packing tape I immediately knew what it was, my complimentary copy of Iron Beasts Make Great Beauty by Studio On Fire. I excitedly opened the package and started flipping through the pages. 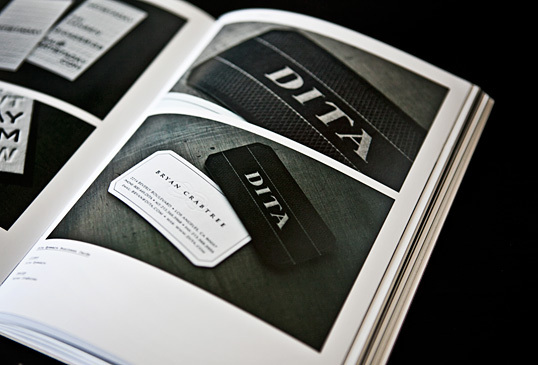 To my surprise not one, but two of my design projects were printed on its glossy pages; my business cards for Dita Eyewear and my Costa Rica Wedding Invites. Sweet! 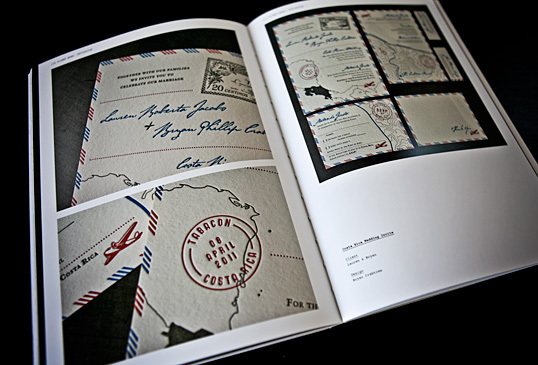 A big thank you to Studio On Fire, they are a letterpress studio like no other and I am greatly honored to have my work included in their book. The publication in itself is a work of art worthy of any designers collection, it just turned out amazingly. If you would like to pick up a copy it is available through Amazon.com.